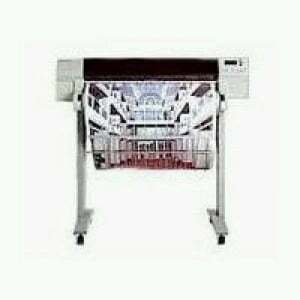 What is the cost of the HP Designjet 750C in India? Unfortunately, we're not able to help with this as we don't sell printers and we're unable to dispatch orders outside of the UK. If you contact a printer supplier local to yourself, or HP directly, hopefully they should be able to help further. The HP 750-C excels at fast and reliable prints. It won't be long before your HP 750C will consume all of your printer ink, and then you'll quickly see that fresh HP 750C ink is generally quite expensive. But you have no reason to bother about forking out the high fees you'll discover on the main street because here at Cartridge Save you can purchase all the HP 750 C cartridges you'll ever want at tiny prices. Start saving cash on your ink by ordering online with Cartridge Save! There's absolutely no reason why you should spend so much on the 750-C original cartridge or 750C compatible ink in the main street when it is far more easy to save some money shopping with Cartridge Save. You can have perfect peace of mind when you purchase Designjet 750C ink cartridges from us because they are all guaranteed by a rock solid money back guarantee. Keep in mind that every single order comes with free delivery, normally arriving with you the next business day!